The Garaventa family, owners and operators of Mt. 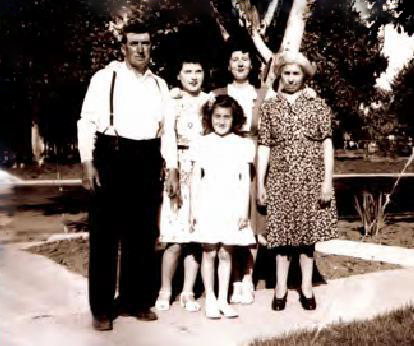 Diablo Resource Recovery, have family roots going back to the 1930s, when Andrea Moresco operated the one horse and buggy rubbish collection service for the country town of Concord. Over the years, Moresco’s son-in-law, Silvio Garaventa, Sr. and his daughter, Mary Moresco Garaventa, took the small town solid waste collection operation and built an enterprise that includes multiple municipal franchises dedicated to collection, recycling and resource recovery. 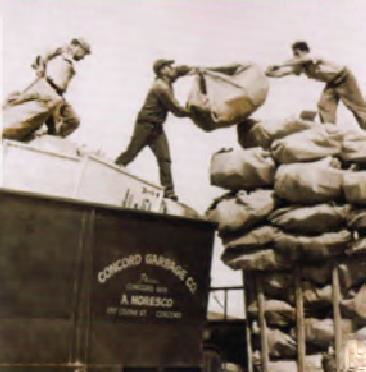 In 1934, the Garaventa family began providing garbage service to the City of Concord, then with a population of 3,500. Today, the Mt. Diablo Resource Recovery serves over 250,000 residences and thousands of businesses throughout Contra Costa, Napa and Solano Counties. Mt. Diablo Resource Recovery combines excellence in customer service with competitive rates, operating recycling and recovery programs designed to increase sustainability and reduce greenhouse gasses. Mt. 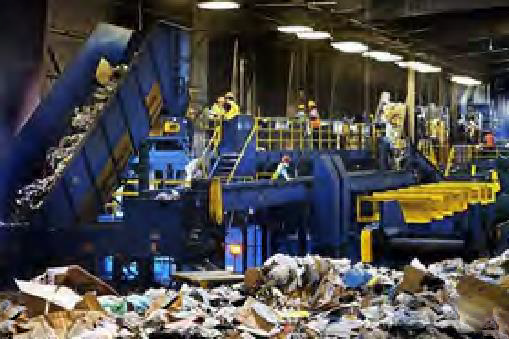 Diablo Resource Recovery Park, in Pittsburg, California, contains the area’s largest state-of-the-art recycling processing center, with a goal of keeping all recyclable items, including paper, metals, cardboard, yard waste, urban wood waste, construction materials and used oil, out of the landfill so as much material as possible can be recycled and reused. 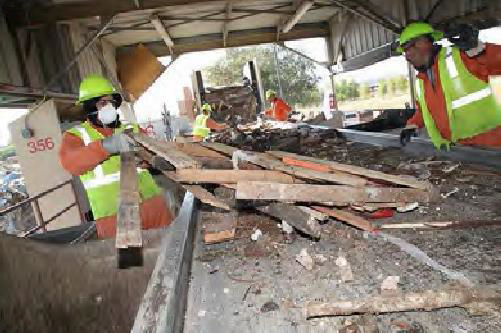 The facility also boasts the region’s largest construction and demolition recycling operation, resulting in thousands of tons of material being kept out of the landfill. It has also received acclaim for its on-site community education center which hosts tours, educational events and summer camps for youth. Mt. Diablo Resource Recovery provides residential and commercial collection services to the cities of Concord, Pittsburg, Oakley, Rio Vista and unincorporated areas throughout Contra Costa and Solano Counties. In addition, the company processes recycling materials for RecycleSmart, which serves the cities of Danville, Lafayette, Moraga, Orinda, Walnut Creek, and portions of unincorporated Contra Costa County. Mt. Diablo Resource Recovery (MDRR), a Garaventa Company, is authorized to do business in California. Mt. 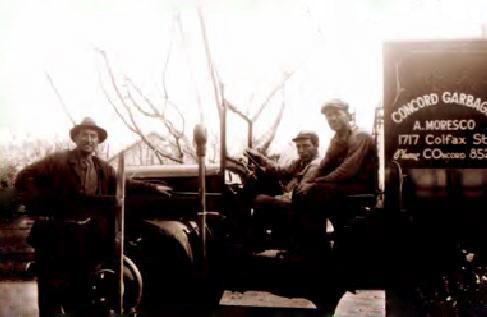 Diablo Resource Recovery (formally known as Garaventa Enterprises) began business in the 1930s, when Andrea Moresco was operating the one horse and buggy rubbish pick up service for the country town of Concord. 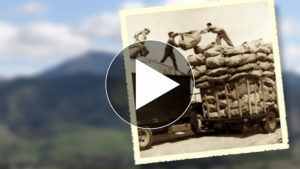 Over the years, Moresco’s son-in-law, Silvio Garaventa, Sr., took the smalltown operation and built an enterprise that includes multiple municipal franchises and now serves over 250,000 customers. MDRR began providing charitable “drop-off” locations, starting with the Boy Scout paper drive and provided a buyback facility for paper and cardboard. In 1962, Mt. Diablo Paper Stock was founded specifically for the processing and remarketing of recyclable materials. Today the company manages newsprint, high-grade papers, cardboard, tin, glass, aluminum, and plastics. The Recycling Center and Transfer Station (RCTS) was opened in 1994 to sort and separate the different grades of recyclables. These products are baled and delivered to a variety of local and international markets. It was expanded in the late 90s to include a floor sort for commercial waste and self-haul materials. In 2008 a Construction and Demolition sort line was designed and installed at RCTS which diverts in excess of 90% of all C&D material. Since then, the facility diversion has increased to over 40% of all incoming materials, assisting the Contra Costa County and Solano County jurisdictions in meeting and exceeding their AB 939 goals, AB 341 goals and AB 1826 goals. Our company continues to grow and change to prepare our communities for the future, particularly around the upcoming regulations of SB1383. Consistent with our business values we are investing in programs and technology that maximize diversion, but maintain customer convenience and service. Mt. Diablo Recycling is being transformed into the Mt. Diablo Resource Recovery Park (Park), a facility that recovers as much material as possible, keeping it away from the landfill. Today, RCTS is the largest recycling facility in Contra Costa County and markets thousands of tons per month of reusable products.